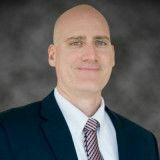 Justia Lawyer Directory Search for "James A Frederick"
Search for "James A Frederick"
Attorney James Hausen graduated with a Bachelor of Science in Accounting degree with honors in 1996 at the University of Akron. He passed the CPA exam in Ohio in 1996 on the first attempt. At that time less than 30% passed the whole CPA exam on the first attempt. He worked in accounting from 1996-1998 while pursuing his M.B.A. degree. He received his M.B.A. degree in 1998 when he decided to go to law school. Alfred J. (Jim) Lechner Jr.